IS 2018 YOUR YEAR FOR WHOLESALE? OH, GOOD. We're here TO HELP. you can still sign up for Wholesale In a Box. of our One Mill Co Workbooks featured below. Coauthored with Mary Claire from Falling Into Place -- a maker and store owner -- so every word is battle-tested from her experience creating a candle line AND running a store. 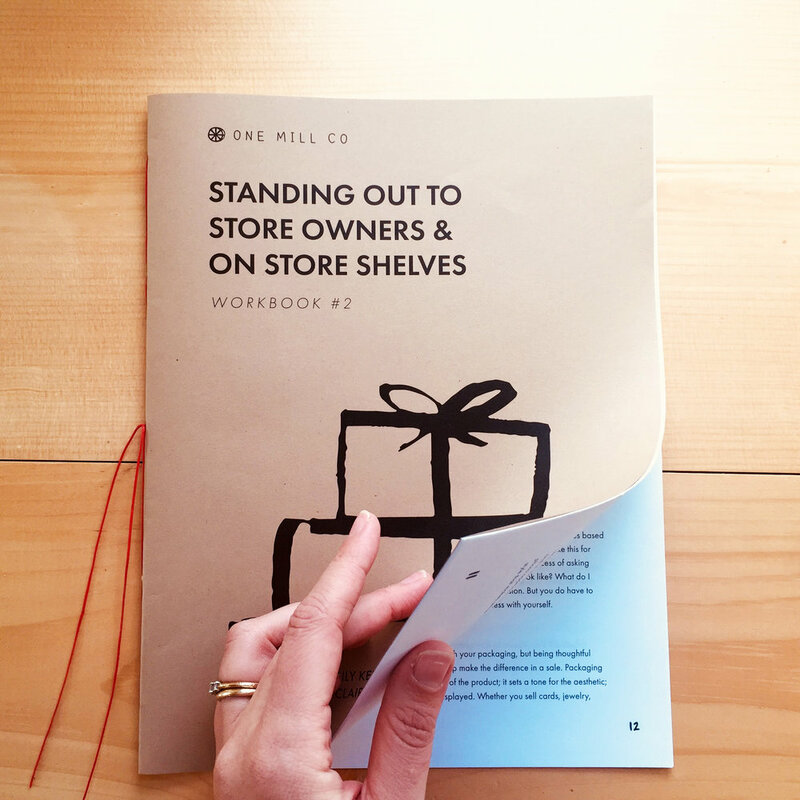 She helps you: master 5 key areas to stand out to stores; do the simple things to get re-orders from shops; and know where to invest in branding and where to skimp. A business planning and reflection workbook. It balances action and inaction, spirit and practicality. Because the workbook isn’t limited to a particular timeframe, you can use it for year-to-year reflection, month-to-month reflection, moon cycle planning, or when you’re at a critical juncture.